Cancer Fun Time! : Dianne Mardon, R.I.P. 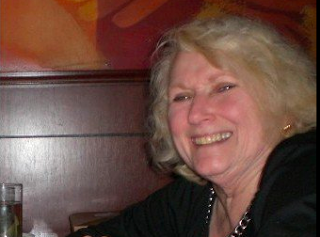 On Tuesday, January 21 my friend Dianne Mardon succumbed to cancer. My family lived in five different houses, most in the same neighborhood, before I was seven years old. Then my parents had a house built, also in the same neighborhood and in which I lived until adulthood and they lived until after they were both retired. Soon after we moved to that house, I befriended Sean Mardon. He lived a few houses away. He was my best friend from about age 8 until about age 16, and we remained friends until my mid-20s when we wandered apart. In 2006 I received word that he had died. I went to his funeral and spoke about some of our many adventures (and wept while doing so). Having Sean back in my mind also brought back memories of his mother, Dianne. I spent many, many hours and days, and even nights, at their house. Dianne was a single mother with three kids. Although I was oblivious at the time I think she sometimes struggled financially. But she would never hesitate to let me stay for dinner when Sean asked. The Mardon home was my second home, and Dianne was my second mother. Immediately after Sean's death I tracked down Dianne's address and wrote her a letter telling her how fondly I remembered her. That letter was the beginning of a new friendship. Dianne had health issues and she needed help disposing of some of Sean's estate. In particular, he had several vehicles that needed to be moved from his former home. I recruited some other common friends and we retrieved the vehicles and I managed the sale of them for Dianne. After that we started seeing each other regularly. Every few months we would have lunch together. Usually I would bring lunch to her apartment because her health issues limited her mobility. We would have great conversations about books and films. Dianne was a dyed-in-the-wool 60's liberal who worked in politics when she was younger. She had a wry sense of humor, and we would especially enjoy discussing the political stories of the day, both local and national, and poking fun at the principal actors. In 2009, I moved 3,000 miles across the country but Dianne and I remained in touch. When I returned to Seattle for visits we would get together if we could. Unfortunately it never worked out for her to meet Wonderful Wife and The Progeny. Dianne was very concerned and supportive during the cancer adventure chronicled in this blog. She sent me notes of care and encouragement. I called her a couple of times during the experience and we would apply our usual humor to the situation. In early December I learned that Dianne had been diagnosed with advanced lung cancer, metastatic I think. I called her as soon as I learned of it. She wasn't explicit, but I understood it to be terminal. True to form, Dianne faced the situation with a sardonic laugh. I meant to call Dianne regularly. I even put it on my calendar. I regret that I didn't heed those reminders and call her more often this past month. Last week Dianne's daughter messaged me to tell me Dianne was very ill. I called right away. Dianne wasn't able to speak, but I was able to tell her I was thinking of her and that I hoped they were at least able to make her comfortable. I am very grateful that Catherine gave me the opportunity to say goodbye.